Last month, Lil’wat Cultural Technician, Johnny Jones, told us the story behind a photo of a 7000 year old leafpoint found in Lil’wat territory by a burial ground. Some people call it a Shaman Quest site. The site was a place where individuals would go to go into training, connecting with mother earth, and learning the ways of being a medicine person. The site is on the path of a deer trail, and would have also had a path down to river and marshland below on Ts’zil Valley. All medicine plants would have been at their disposal there. It was a woman’s seclusion place to go during her moon, a time when she was not allowed around men. (At this time, she was very powerful and would draw power away from Medicine men.) Also, young girls coming into womanhood would begin their training there, learning the spiritual ways of connecting with Mother Earth. The site was also used as a birthing place of all newborn entering into this world. At the time of utilization, the site would have been above marshland overlooking Ts’zil Valley and Mountain (now called Mount Currie.) At the entrance to the trail up to site was a Guardian on a bench where visitors to the relative could receive or relay messages to individual at Sacred site. 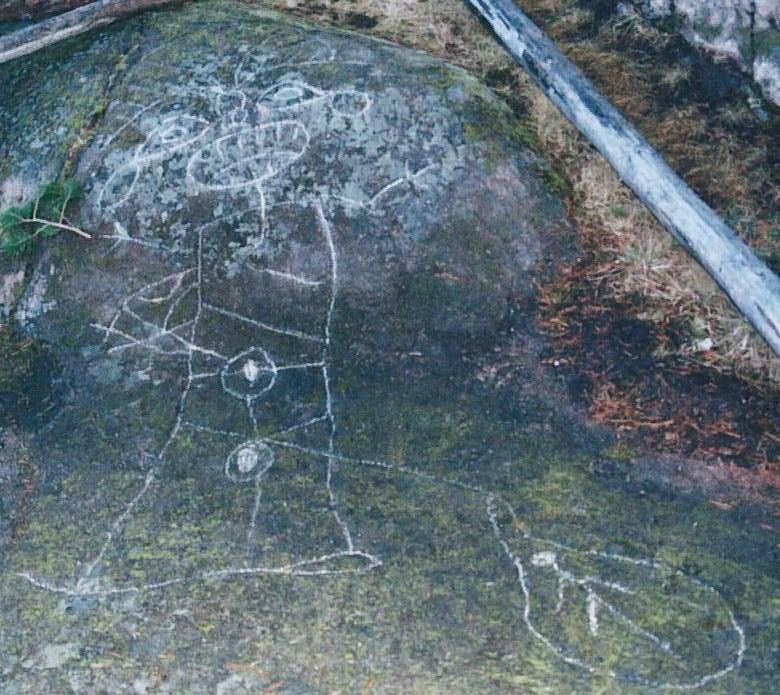 The petroglyph is carved into the saddle of a rock. We don’t know how old it is, but my dad said it was made way before any trees grew on the hillside. There was only grass on the hill at the time. It is 9 and a half feet tall and 3 and half feet wide. She would make the carving by pecking the rock face with a harder stone into the shape she was okay with. She was from the Bear clan – (we can tell that from another carving above her.) She was fasting up there. She was praying for a healthy young boy. As she sat here, tears in her eye were dropping as she was making the carving. 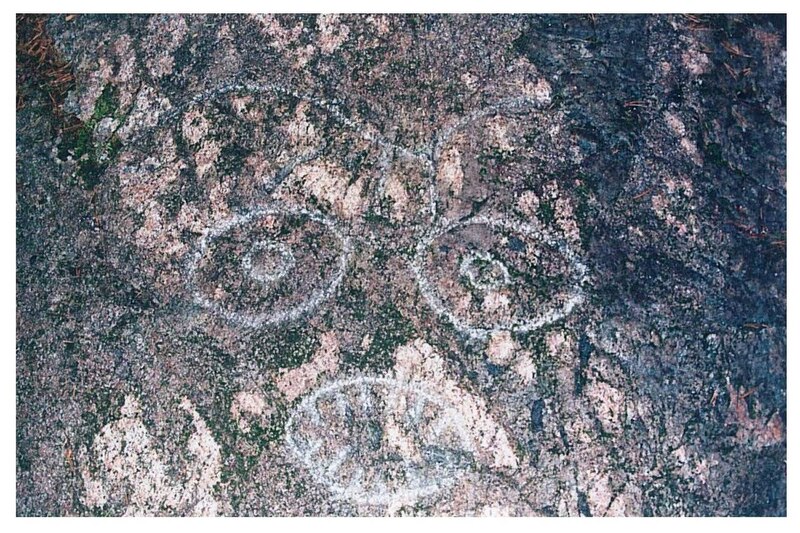 That’s the story the petroglyph tells. Green Thumbs: The First Spring Egg! Thank you for this post! I have often sat at that spot and thought about the history of this place – and yes, made a special pilgrimage there before the birth of my two babies! What an honour to have this knowledge shared. Thank you thank you!